Indian blogosphere is growing exponentially on every other day. Speaking of stats, by the year 2014, Indian blogosphere crossed 100 thousand live blog mark* and the number is not going to rationalize anywhere soon. By an estimate, Indian blogosphere will double its size in next 3 years and so. Despite the numbers backing up Indian blogosphere, it is hard to find good niche Defence and Military blogs. You can easily find blogs on other niche topics, for say politics, sports, and technology, but it is really hard to find good blogs related to Indian Defence. So here, I have tried to come up with a list of good and informative blogs on Indian Defence and Indian world view. Broadsword is a blog by an Indian Journalist and retired Colonel of Indian Army, Ajai Shukla. Shukla opines about the changing dimension of Indian Defence on South-Asian and World stage. Being an ex-Army man, Shukla writes with scrutiny on every big or small development. World Defence Review is a blog by Anoop DK, an Airframe and Powerplant mechanic by profession. Anoop writes not only about Indian Defence and militia but also how things are stacking up at World level and how India can prepare itself for these changes. Latest Post on WDR: India Should Learn From Falkland War. Indian Defence Review blog is a multiple author blog by Indian Defence Review magazine. Here on IDR Blog, you can read and discuss every big or small development which is shaping India and it’s Defence system. LiveFist is a blog by India Today journalist, Shiv Aroor. Shiv promptly updates on any development related to Indian Defence and Aerospace. Latest Post on Livefist: State of Play: Three Years Since India Chose Rafale. Don’t get confused by the name. Geek at Large is an all and all blog about Indian Defence technology. Sticking to the blog title, Jha only writes about Indian Defence technology not everything. Latest Post on Geek At Large: Maiden canisterised launch of the Agni-V ICBM marks India’s arrival as a missile power. Important Update: Jha has not updated Geek At Large since April 2015 but you can still read his views on his personal blog. Arthashastra is a blog by G. Harindra Kumar. Unlike it’s name, Arthashastra, Kumar blogs about Indian Defence and Space technology on this blog. Latest Post on Arthashastra: The Best Indian Analyst on Indian Television. Defence Lover is a beautiful blog by Raghav Gakhar. A true defence lover, (all I can say about him) blogs about everything that is going in Indian defence world. Go Military is a multiple volunteer author blog about Indian defence and life in defence. Here at Go Military, you don’t get much updates about harsh spectrum of defence vibgyor. Instead, they talk about lighter things in life. Latest Post on Go Military: Why Should I? Trishul (Trident) is a blog on Indian military technology by Prasun K Gupta. Indian Military Info is a blog by Major Navdeep Singh, a former military reservist. 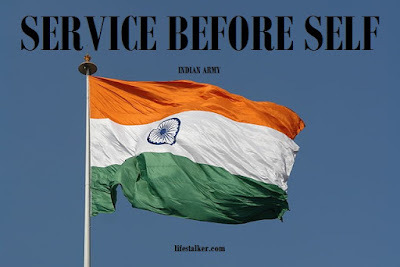 The blog is not about Indian military and its role in our life. But it is about a whole different and important thing related to a defence personnel. Here at IMI, you can read and discuss about service related issues and benefits. Latest Post on IMI: Update on the issue of illegal withdrawal of Toll Tax Exemption from serving defence personnel. Time to check some lighter and humorous shades of military life. Vikram Karve, an ex-Naval officer, writes about the sunny side of military life. His column Humor in Uniform is the best. 1. This is not an exhaustive list, so don’t complain. 2. Latest Post on Blog means latest post I have read on these blog at the time of hitting publish button. *By 2014, there are more than 38 K registered blogs on Indiblogger, and there are thousands of unregistered blogs which are not on Indiblogger. What about Mahroof Raza? Does he not write a blog? He is an authority on defence matters. He also has a TV show. Sorry Sir, but he does not write a blog. Yes, I have read riding the elephant but the reason why I have included this blog is not because gora writes from army hating perspective but he provides a different perspective which we might have ignored. For me, sometimes, we tend to over-appreciate or under-appreciate ourselves, and such opposite-wing readings provide us the knowledge of our fault lines. Like they say, you can't judge Rama without having Ravana. So do I added this blog, because sometimes this help me to see the issue from an outsider or leftist perspective. And even in his recent blog post, he has ridiculed Shashi Tharoor's Inglorious Empire, and talked about post-colonial relationship, how this will affect the India-Brit relationship, even the fact, when they know that they need India not India need them. But I still read the blog to understand that ideology. Hope this has satisfied your query why I have included a gora's blog.